One-Handed mode is a great feature which allows smartphone users to scroll and tap around on their smartphone display easily. As more and more smartphones are being released with bigger displays these days users are finding it difficult to use their smartphone with one hand, especially those users who have small hands. But thankfully smartphone manufacturers like Apple, Samsung, Xiaomi, Huawei, and LG addressed this difficulty and introduced a special one-handed mode feature which allows you to perform most basic actions such as taps and scrolls, reaching for the top of the display to pull down the status bar and tap on an app’s toolbar etc. Apple introduced one-handed mode with the iPhone 6 and the iPhone 6 Plus launch, calling it as new “Reachability” mode with iOS 8. This allowed users to double tap the Home button to shift the entire UI down making it easy to reach all the UI elements to the user’s finger. 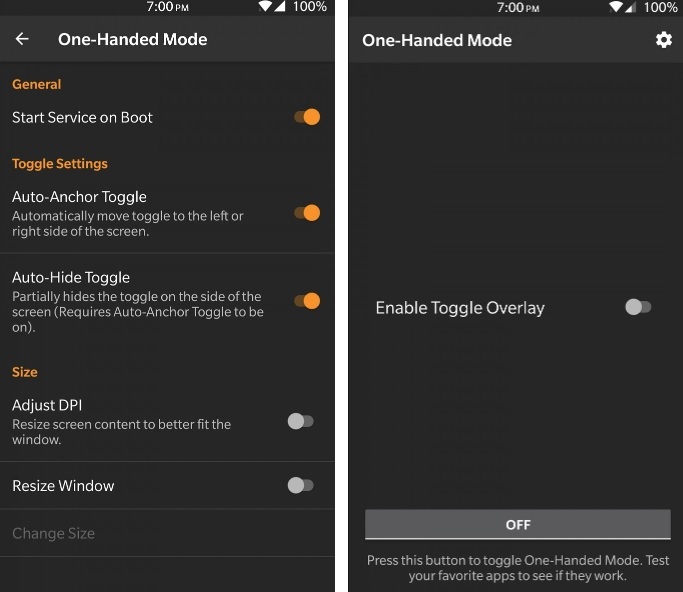 Unfortunately, not every smartphone has this one-handed feature including the new Google Pixel 2 XL, but thanks to the XDA One-Handed Mode app for Android, that brings the one-handed mod feature to any Android smartphone. This app is a great tool which allows you to reach your status bar and action bar of any app without having to stretch your fingers on the display. The app comes with a floating, movable bubble that follows you on the screen to let you toggle One-Handed Mode wherever you want. You can also move the bubble around by log pressing on it or remove it if you don’t want it to appear on your screen. The best thing about this app is that it doesn’t require root, However, it does require you to grant a special permission to make this app work on your smartphone. The required permission is called WRITE_SECURE_SETTINGS which can only be granted through the Android Debug Bridge (ADB). To know the full steps how to install and run the XDA One-Handed Mode app on your smartphone we could refer you to this page here. The app provides several options to use it on your smartphone. When you first install the app you see the option to “Enable Toggle Overlay” on the apps main screen which is the floating bubble which you can move around by long pressing on it or just tap to open the One-Handed Mode Settings. On the settings page, you’ll see a few options. You can choose to enable the toggle to show up on boot, whether or not to automatically anchor/partially hide the toggle to a side of the screen, or resize the one-handed mode window. By default, The Toggle Settings are all enabled. On the other hand, the size settings are all considered experimental. By default, they are all off. The Auto-Anchor and Auto-Hide Toggle option you can use to let the bubble float from left to right and the Auto-Hide Toggle toggle makes the bubble hide partially outside of the screen so it takes up less space. You can also turn these options off anytime you want. Under the Size option, you get two options Adjust DPI and Resize Window. Adjust DPI resizes the screen’s content to better match the one-handed mode window and allows you to fit more content on the screen by making text smaller. The Resize Window is disabled by default. When enabled it allows users to resize the one-handed mode window that allows you to move screen contents downwards and lets you also shift them to the left or right. Note: XDA does not recommend users to enable this feature because it has the potential to break some apps. With Resize Window you get an interactive box which you can use to resize the window by holding and dragging the yellow dots moving it left to right. By default, the box can be moved towards the right but if you toggle “RTL Mode” the box can be moved to the left as well. Now you can see the preview of the one-handed by tapping the “preview” button to see the one-handed mode in action. You can use this app on any Android phone running Android 4.3 or above. The app has already been tested on the following Android smartphones. The app is free to download from the Google Play Store. However, to enable the floating bubble or change any of the settings, you will have to purchase the full version of the app through an in-app purchase. For the first week, it cost you $0.99. After one week, the price goes up to $1.99 per item. Have you tried this app on your smartphone? Do let me know in the comments section down below.